graham ice cream oozing with marshmallow ripple… S’more indeed"
Sure it looks decent enough to start, but what really has me is that it smells wonderful. I take my first bite and I am amazed. I can't believe how closely the base resembles the true flavor of graham, graham crumbs in particular. It's awesome, I'm so impressed. 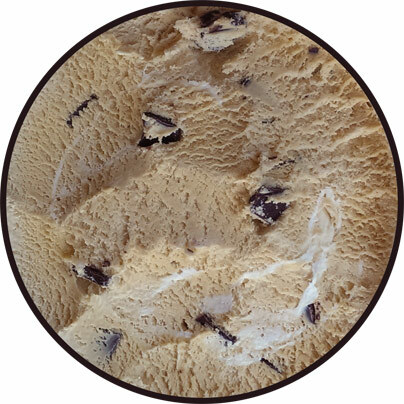 You could just serve me this base ice cream and I'd me happy. But there's more! The (dark) chocolate chips are flavorful and abundant. The graham and chocolate together are great. I need to slow down before I hurt myself. The gooey marshmallow adds a neat visual appeal while also creating a more mellow flavor if that's your thing. 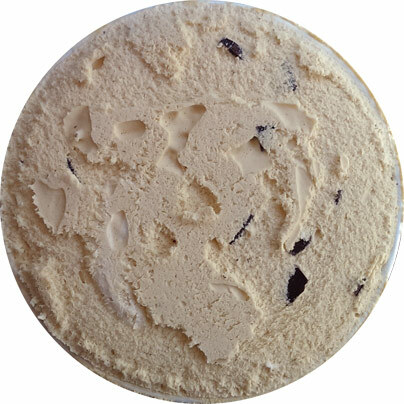 There is a hint of artificial-ness to it, maybe because of the overall soft texture of the ice cream, but keep in mind that they need to keep it gooey in a freezer, so a little ingredient magic needs to happen to keep it from freezing solid. See, usually marshmallow swirls are dense, but this one looks like they mixed true marshmallow fluff into the base ice cream (despite being freezing cold). It's very cool to look at, plus it's plentiful, so how can you not like it? On Second Scoop: Oh man, I think I like this one more than I did yesterday. Besides the perfect graham flavor, there are just tons of these large dark chocolate chips that just add so much to this flavor, I love it, I really do. You can get 4 or 5 chocolate hunks on your spoon and now it's dark chocolate flavor highlighted with graham instead of the other way around. What a neat flavor! 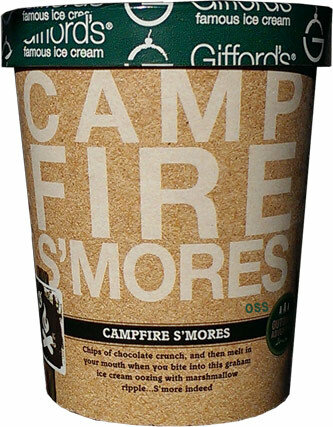 Finally somebody nailed a s'mores flavor. They nailed the graham flavor and then someone finally did the chocolate component right. Awesome job Gifford's! My hat is off to you! Verdict? My favorite s'mores flavor! Buy Again? you know it! I have to say I think this is the best ice cream flavor ever! I am totally with the writer of this review. I have bought at least 6 or 7 containers of this flavor and am still amazed every time I take a bite. I drive way out of my way to go to the only store that carries it around me. It is simply the BEST!